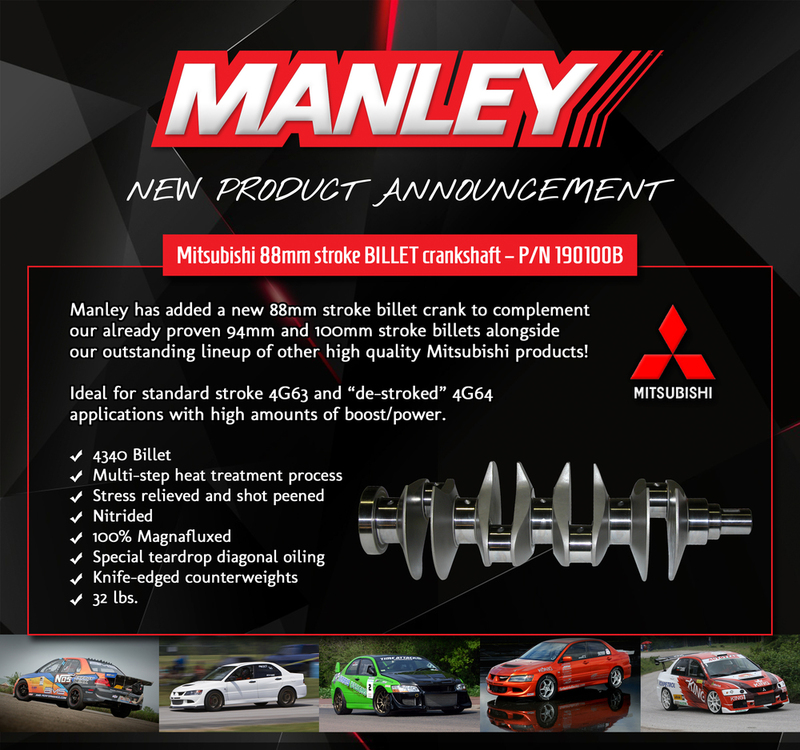 ……with Manley’s new Pro Series Turbo Tuff con rods manufactured specifically to handle the enormous power potential of the VR38DETT engine. 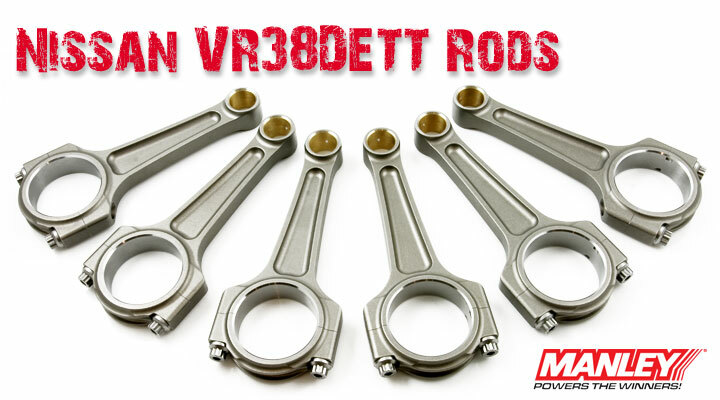 Forged from 4340 aircraft quality vacuum degassed alloy and featuring 7/16” (not 3/8”) ARP2000 bolts, these rods were engineered with only one thought in mind…to be the highest quality con rod….suited for this beast of an engine….in the market today and beyond. These rods have already withstood well over 1300 all-wheel horsepower….traveling the ¼ mile in less than 9 seconds in street trim!!! Rods are in stock….ready to ship. Platinum Series Pistons coming soon. With the newest engines from GM, Ford and Chrysler employing crank-driven oil pumps that spin twice as fast as those in older engines, there can be problems with cavitation and oil aeration at high RPMs that causes a loss of lubrication at critical times. To overcome this problem, and provide increases in volume or pressure, Manley Performance has introduced Pro-Flo® series oil pumps. They are available for Chevy LS-series, Ford Modular (2, 3 and 4-valve) and Chrysler 5.7/6.1L Hemi engines. 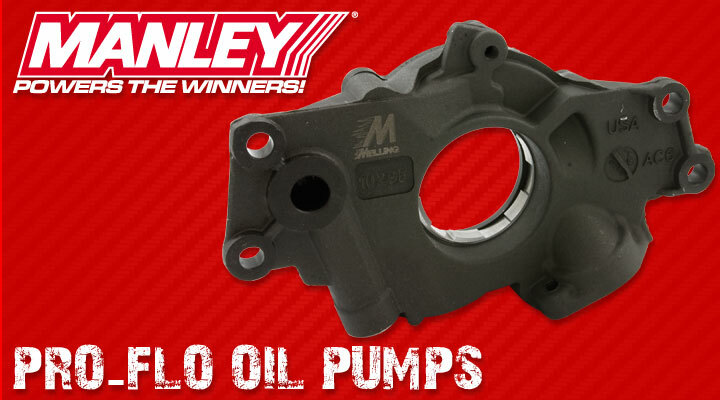 Manley starts with a Melling “Select Performance” series oil pump, then disassembles it, hand-ports the inlet for improved flow, and blueprints it for optimum efficiency. A hard-coat aluminum housing and phosphate-coated cast iron cover add to the Pro-Flo® pump’s reliability. The pump’s improved flow characteristics also reduces parasitic horsepower loss. Pro-Flo® oil pumps for LS engines are available with a standard volume and 10% increased pressure over stock, or an 18% increase in volume. Ford enthusiasts have a choice of standard volume and pressure, 20 PSI pressure increase, or 8% increased volume with standard oil pressure. Pro-Flo® pumps for Mopars have a stock volume and adjustable pressures.